Do you want to build a review website? Creating your own review website is one of the best ways to make money online with affiliate marketing. In this article, we’ll show you how to put together a review website with WordPress and earn a profit like a pro. A review website is a content website aimed at generating affiliate revenue by publishing product reviews in a specific, yet broad, category (like mobile phones or video games, for example). To create a review website, you’ll have to choose a specific niche, publish product reviews, and refer affiliate products in that niche. You’ll get paid whenever someone purchases from your referral links. The easiest way to find products you want to promote is join an affiliate program like Amazon Associates, Commission Junction or ShareASale and browse through their sites. After selecting a product you want to share, you can get an affiliate link and promote the product through that link on your site. A domain name: It’s the web address of your website such as IsItWP.com or Google.com. Web hosting: This is where your website files are stored. WordPress plugins: We recommend using the following WordPress plugins for your review website. WP Product Review: Turn your posts into smart reviews with ratings. ThirstyAffiliates: The best affiliate link management plugin. MonsterInsights: The best Google Analytics plugin. It also gives you insights into how well your affiliate links are performing on your site. WPForms: The best contact form plugin that also lets you publish user-generated reviews on your review website. We always recommend using WordPress to set up a review website. WordPress is the most popular website builder in the world. It gives you endless possibilities to build and customize your website. 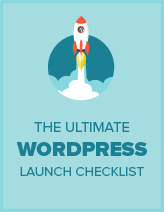 For more details, you should check out this guide on why use WordPress. To build a review website with WordPress, you’ll need to purchase a domain name and web hosting. We recommend using Bluehost for hosting your WordPress website. Bluehost offers a deal to our users including a free domain name, free SSL certificate, and over 60% off on WordPress hosting. Bluehost is one of the largest hosting providers in the world. It’s also an officially recommended hosting provider by WordPress.org. Read our complete Bluehost review for more details. For more details, read our article on how to build a website with WordPress. Next, you’ll need to install and activate the WP Product Review plugin on your site. This plugin lets you easily turn your WordPress articles into smart reviews with ratings. It also allows you to easily add star ratings next to your reviews in Google search results. Position your review box anywhere in your post. Add comparison tables to your review posts. This allows your visitors to easily select the right product they want from the table. Customize the review table and rating icons the way you want. Save your time by automatically importing Amazon product info. After activating the plugin, a new menu item, Product Review, will be added to your WordPress admin area. Clicking on it will take you to the plugin’s settings page. In the General settings tab, you can change the position of the review box, enable or disable review comments, rich snippets, change the review post type, etc. Next, head over to Rating colors tab where you can change the colors of rating options, rating charts, weak ratings, not bad ratings, good ratings, and very good ratings. You can then select the typography you want and customize the buy button however you desire. Publishing reviews is easy with the WP Product Review plugin. In your page editor, you can find a meta box called Product Review Extra Settings. If you’re publishing a review post, you can choose Yes. Then, you’ll be prompted to choose a review template, specify product categories, add affiliate links, and more. Once you’re done, you can publish your post. We highly recommend you to install the following WordPress plugins on your review website. ThirstyAffiliates is the best affiliate link management plugin. It lets you easily organize your affiliate links in a single location, so you can insert affiliate links into your articles directly from your post editor. When you organize all of your affiliate links in a single place, you can quickly find and replace the links without any hassle. This comes in handy, especially when the company you promote modifies the affiliate link that you’ve added to your articles. You don’t have to dig through every blog post you’ve published to find and replace the affiliate links. Instead, you can simply replace the affiliate link in your WordPress admin. This will automatically change the links inserted on all of your posts. The plugin also lets you clock your affiliate links so you can turn your ugly affiliate links into pretty links. Read our complete ThirstyAffiliates review for more information. MonsterInsights is the best Google Analytics plugin for WordPress. With MonsterInsights, you can easily set up Google Analytics, and even enable affiliate link tracking on your site. By enabling affiliate link tracking, you can understand what works best for your audience. It can also give you insights into how to optimize your review site for boosting affiliate commissions. Read our complete MonsterInsights review. WPForms is the best contact form plugin for WordPress. This plugin makes it easy to build any type of online forms with ease, such as payment forms, login forms, etc. WPForms allows users to leave reviews on your WordPress site. With its post submission feature, you can create a frontend post submission form. When a user fills out the form, the entry will be submitted to your WordPress admin as a post or page for your review. That way you can review the submitted entries and then publish them. Also, check out this full comparison between WPForms v TypeForm. We hope this guide helped you create a review website with WordPress. If you enjoyed this article, then you may want to check out our articles on how to create a micro job site like Fiverr and creating a professional business email with G Suite. In my humble opinion, you better focus on one topic. However, you can have several subcategories related to your main niche. I am your big fan I read your articles and i have got a log of knowledge by reading your articles. Despite of my atmosst desire i can’t hire your service. Would that i have a blog and you know what i would permanently hire you for my blog posting if i had a blog. but I am stil in learning process. I am inspired by WPbeginner and I am their regular read. So i have started a small website(I haven’t created this website) I bought this website by someone else a few months ago. Glad you like our articles. We don’t allow links in comments, so I had to remove your links. For learning more about building an established blog, check out our guide here.